The Sermon on the Mount is the manifesto of the Christian life. Nowhere in the Gospel can we see the truly revolutionary character of Christianity and how completely it is opposed to the mind and practice of the world. Here is the pattern of human life as designed by the Creator himself. He wants us to live not human lives, but divine lives. This is what it means to be children of God, elevated to a share in the divine nature. Father John Hugo’s life story seems to have been written with invisible ink. The passing years since his death in 1985 have erased all but the faintest trace of him from even the footnotes of American Catholic history. A priest in Pittsburgh for nearly fifty years, he served in inner city and rural parishes, spent time as a street–preacher and a college professor, helped start the Catholic “charismatic renewal” movement, and helped draft the first adult catechism in the years after the Second Vatican Council. But he was best known as a controversial retreat master, leading week-long silent retreats in which he preached a fervent, heroic brand of Christianity to hundreds of priests, religious, and lay people. Everything we do, even our smallest daily acts, must be done for the love of God, Father Hugo preached. The goal of life should be perfect love of God and perfect love of our neighbor, he said. And this perfection comes in “detachment” from sensual pleasures and material comforts, and living in imitation of Christ. Dorothy Day, the saintly founder of the Catholic Worker movement, said that hearing Father Hugo preach was like “hearing the Gospel for the first time.” After her first retreat, in the summer of 1941, she said, “Scripture became a love letter.” Throughout her life, she continued to make the retreat, and in the weeks before her death a visitor found she was reading fading typescripts of Father Hugo’s retreat talks. Father Hugo wrote a great deal but published little. Most of his writings were privately printed as pamphlets or booklets that circulated among a small circle of friends and devotees. Weapons of the Spirit is the first collection of his writings to be published for a broad Catholic audience. With the cooperation of the Hugo family, editors David Scott and Mike Aquilina had access to hundreds of pages of rare, previously unpublished writings, and private correspondence, including his letters to Dorothy Day. 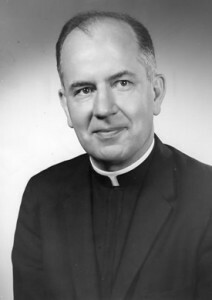 In addition, they have gathered nearly impossible to find selections, including Father Hugo’s influential writings on pacifism and World War II from the Catholic Worker newspaper, as well as transcripts of retreat talks, and even a transcription of a rare radio interview with Father Hugo on, of all subjects, bingo. Writing on topics ranging from how to pray and lead a Christian life, to the immorality of birth control and the spiritual hazards of consumerist lifestyles, Father Hugo writes with penetrating, prophetic insight. His clear and engaging style, which combines a scholar’s learning with common sense and wit, has been compared to G.K. Chesterton, Hilaire Belloc, and Ronald Knox. Jesus transforms the very notion of holiness as he addresses the simple hill folk of Gallilee with that all but incredible command: “You must be perfect as your heavenly Father is perfect.” While many have brushed off as impossible this command to seek perfection, the words were spoken by Jesus. Christian perfection consists, above all, in love. We grow in holiness and perfection as we grow in love. The whole context of the passage is an exhortation to seek the very perfection of God’s own love. Only the saints are mature Christians. The rest of us are dwarfs. 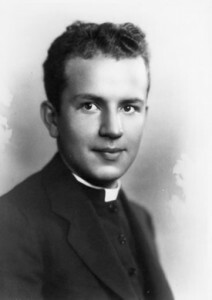 Father Hugo finished giving his final retreat just two days before his untimely death in an automobile accident, on October 1, 1985. To listen to or download audio files (mp3) of his week-long retreat, nearly 30 hours of retreat conferences, visit our Encounter With Silence page. “Father Hugo knew that Christianity could heal and save the world not by becoming as much like the spirit of the world as possible, but by being entirely true to the Gospel and the burning love of Christ. This book is a fine introduction to the work of Father Hugo, and an invitation to theologians to serve well those who recognize the importance of responding generously to Christ’s universal call to holiness.” —Father Ronald Lawler, O.F.M. Cap., only American member of Pope John Paul II’s Pontifical Roman Theological Academy, in Communio 24 (Fall 1997). 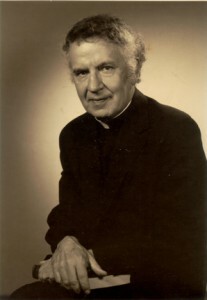 “Father John Hugo, for many years a seeker after means of realizing the fullest potential sanctification of the faithful . 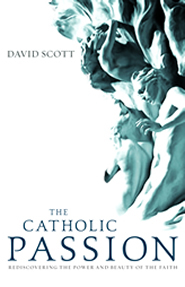 . . argues that the potential of this great sacrament for spiritual direction . . . ” Read the appreciation of Father Hugo’s writings on confession by the late Cardinal John J. Wright, former head of the Vatican Congregation for the Clergy. 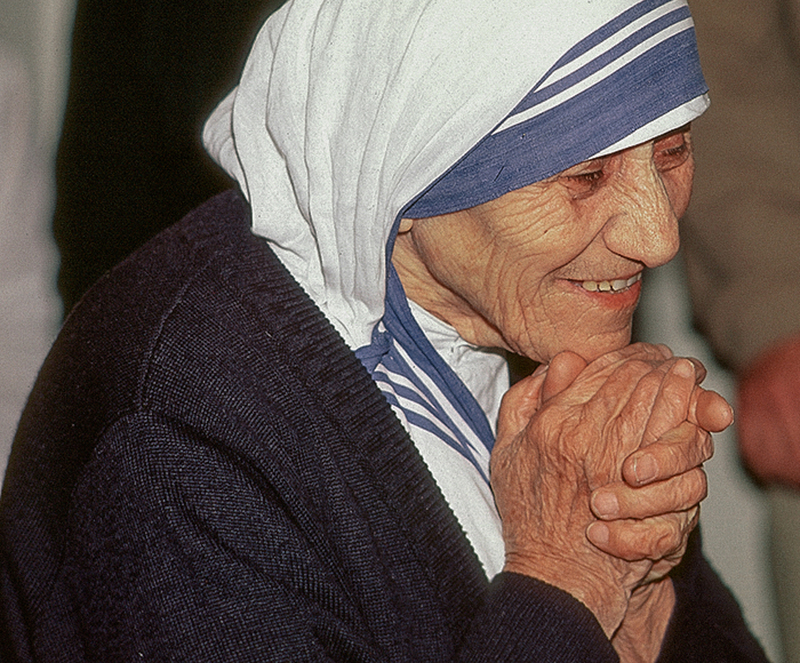 “The man whom Dorothy Day called a ‘brilliant teacher’ carried himself in humility. ‘When I first met him,’ recalls one retreatant, ‘I thought he was the janitor.’” Read an appreciation of Father Hugo’s retreat by his niece, the Catholic author, Rosemary Hugo Fielding. “. . . ‘Father Hugo had been not only Dorothy’s spiritual director but in a sense was the spiritual director of the Catholic Worker movement during the early years,’ wrote Jim Forrest in Love is the Measure.” Read an overview of Father Hugo and the retreat movement in the Houston Catholic Worker. “Dorothy Day invariably spoke of the retreat as ‘the famous retreat.’ I like to think of it, if it must have a name, as the ‘folly of the cross’ retreat.” Read “Driven By Love,” a homily by Father Hugo on the life of Dorothy Day. “The retreat addressed the main problem of the Catholic Church today—how can the Catholic faith survive in a prosperous culture . . . It offers a remedy to save the Church from the corruption that affluence and consumerism bring, a remedy that is past due in the Church in the United States.” Read “The Anti–Assimilationist Retreat,” perhaps the finest overview of Father Hugo’s spiritual teaching, the retreat, and its potential to promote spiritual renewal.